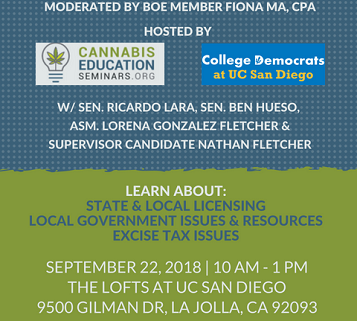 Please join me in San Diego on Saturday, September 22 from 10:00 AM to 1:00 PM at the Loft at UC San Diego (9500 Gillman Dr, La Jolla, CA 92093) for the San Diego Cannabis Roundtable. I’ll be participating in a discussion with industry leaders, business groups, elected officials and staff members on the status and developments of cannabis policy throughout California. We’ll be examining the social, cultural, and political environment impacting the cannabis industry and where there are opportunities for change. Who: Fiona Ma, Sen. Ben Hueso, Sen. Ricardo Lara, Asm. Lorena Gonzalez Fletcher, Fmr. 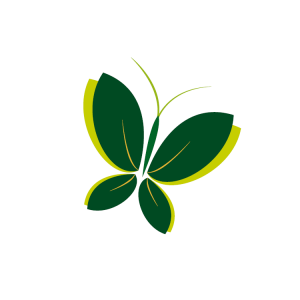 Asm. 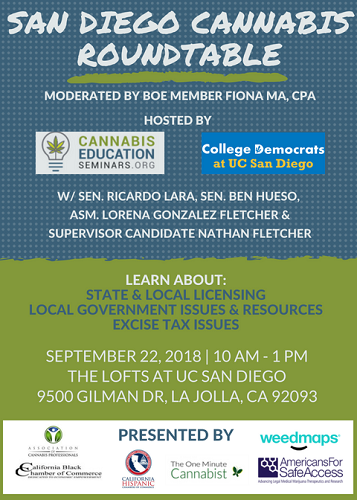 Nathan Fletcher, Oceanside Deputy Mayor Chuck Lowery, San Diego City Council Candidate Dr. Jen Campbell, Association of Cannabis Professionals, San Diego Americans for Safe Access, One- Minute Cannabist, the San Diego Farm Bureau, Weedmaps, Harvest Law Group, MGO/ELLO, and more. Cost: FREE to attend. Hosted food and drinks. RSVP: Email your confirmation to Tanner.Kelly@deweysquare.com or call 714-721-0385. Driving Directions: From Interstate 5, exit La Jolla Village Drive and head west. Make a right on Villa La Jolla Drive heading north. Drive up the hill into the Gilman Parking Structure. Parking Instructions: Parking at UCSD is free on weekends. 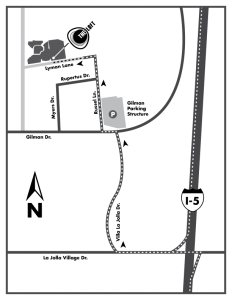 Park in the Gilman Parking Structure for convenient access to the Loft. See attachment for parking map.